La Jolla restaurant Coastal San Diego location, Financing available! Great opportunity to take over a newly built out and professionally designed restaurant location in one of the most highly sought after areas in the city of San Diego. Seller may even consider doing large amount of financing to help you get your place going with minimal out of pocket cost! This upscale beach community restaurant has some of the best demographics on the entire West coast and is ready now! 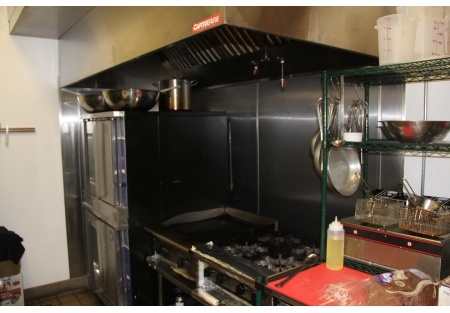 Seller spent over 300k on the build out and development of this restaurant project. The time cost here was nearly one year, you can take over and turnkey this restaurant at the close of escrow. Seller has decided that the restaurant business is not for them, are you a restaurateur looking for a place that will save you both time and money? Are you looking for a restaurant that would thrive in a tourist destination city with year round local traffic? Here it is. This is your chance to save all the aggravation and time associated with building out a place on your own, change a few signs, add your own décor scheme and you are ready to go. Possibilities are endless for this restaurant, breakfast café, coffee shop, yogurt or ice cream shop, Mexican food, you name it and this location could support it. Located just off the main through street of this beautiful coastal city, so you get the benefits of the huge vehicle and foot traffic along with a reasonable rent factor. This is a 1346 square foot restaurant right next to some huge traffic turning stores and shops. Rent on this restaurant is $4038 per months with NNN of $998. current lease term expires in June of 2020. Nice enclosed patio to enjoy the sunny San Diego weather. Kitchen includes a pastry prep area, convection oven, full hood and exhaust system all up to current codes along lots of storage and capability for big volume here. Don’t miss this opportunity to get in quick and relatively cheap! Please visit SellingRestaurants.com to get more information about the name and location of this restaurant.